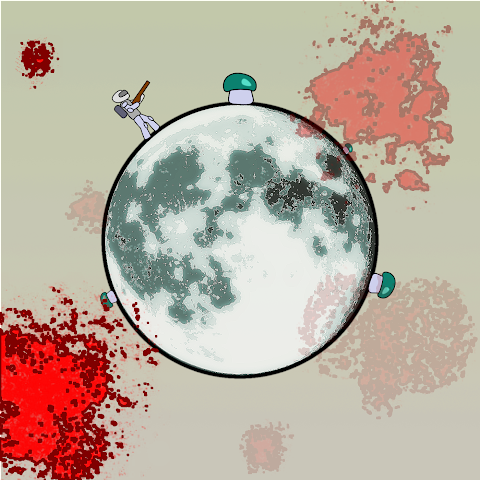 I will probably ganna call my game: "Logical mushroom hunting on the Moon" or something. Ok. Theme seems perfect for me. I am very very good with round things and simple geometric figures. And moon is round. But instead of doing some game with simple geometric figures and strange gameplay (as I always do), I am in the mood of doing something completely idiotic. Something that does not makes sense. I am from Lithuania. There is quite popular to go gathering mushrooms. And there is old wisdom (or superstitious thinking) not to go picking mushroom under the full moon, because mushrooms will be wormy. So that is where my idea came from. 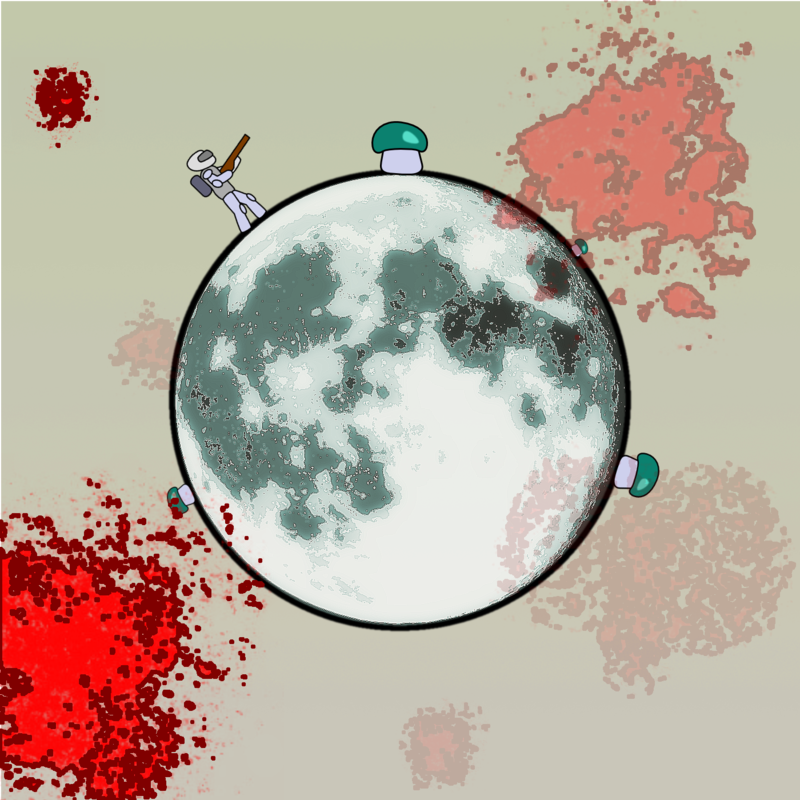 - Player controls astronaut with keys (LEFT, RIGHT or A, D) and with mouse. - Mushroom strarts flying into the cosmos. - Player must shoot mushroom with shotgun. - There will be blood for some reasons and/or for some actions I have not decided yet. It does not make sense, but there will be blood. - I am not thinking about wining/losing conditions. First, I will try to implement this simple mechanic and then I will see. P.S. Some inspiration has been taken from (http://www.ridiculousfishing.com/).